Home Movie footage of a west coast front yard, most likely near Los Angles, California. 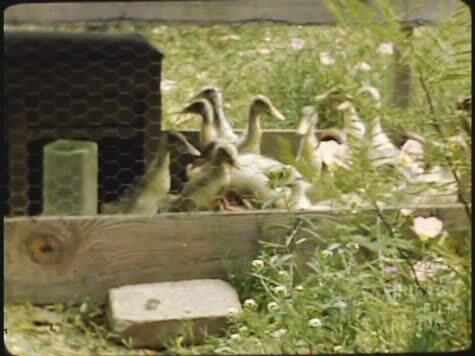 Includes shots of ducklings, cactus, chickens and flowers. The home featured is that of Helen Perry (mother of Homer Henselt Howard) and M. Kellogg Howard (brother of Homer Henselt Howard).